A trend currently raging in the design world is that of portable furniture, that are lightweight as they are space-saving. Although not exactly similar to the usual array of multi-purpose household furniture, this specialized group of collapsible furniture items are indeed the champions of modern floor-space optimization. 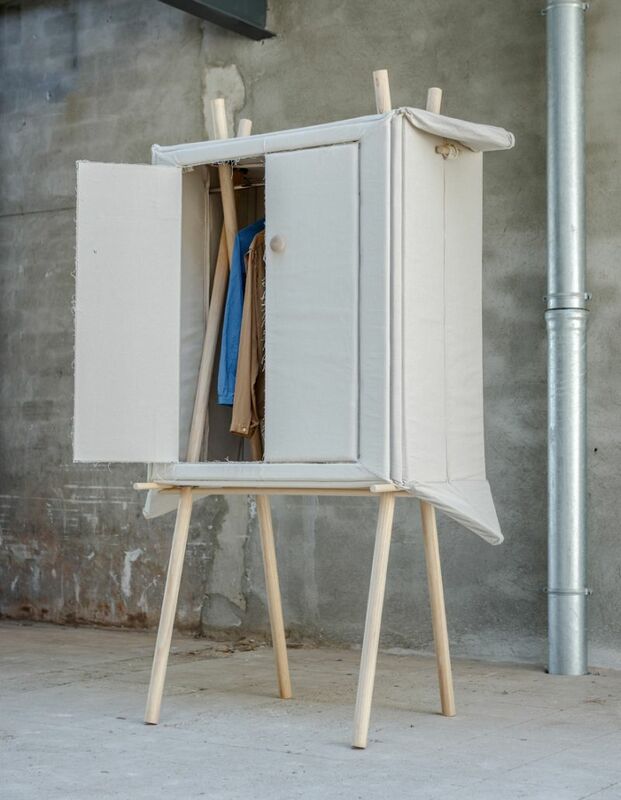 The newest member in this league of flexible furniture products is ‘Pop-Up Linen’, an all-purpose wardrobe that can be folded completely and tucked away from sight. 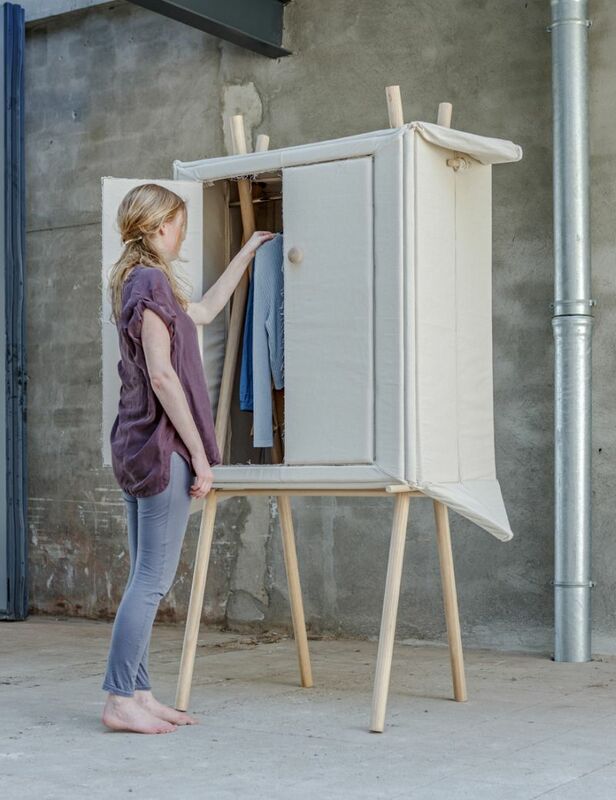 At the 2014 Blickfang Design workshop held in France, Dutch designer Renate Nederpel, an alumna of the Royal Academy of Art in The Hague, presented this specially-crafted storage unit. Taking inspiration from the intricate Japanese paper art form known as Origami, Nederpel has created a uniquely innovative cabinet, made from flexile fabric panels. The strategically placed creases between the upper and lower parts, together with the highly versatile textile, are what make the ‘Pop-Up Linen’ extremely pliable. The triangular flaps, at both corners, ensure that the entire setup can be neatly folded and packed. 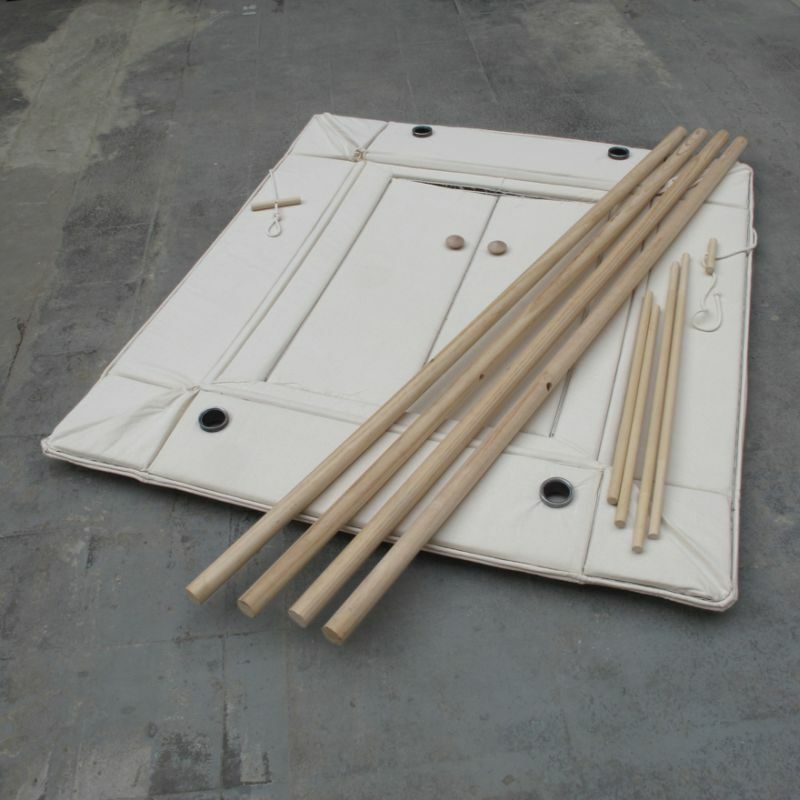 The wardrobe sits on top of strengthened pinewood shanks, while four additional wood segments, placed inside it, provide support to the basic framework. The beautifully compact ‘Pop-Up Linen’ has been built in such that it can be easily transported elsewhere. 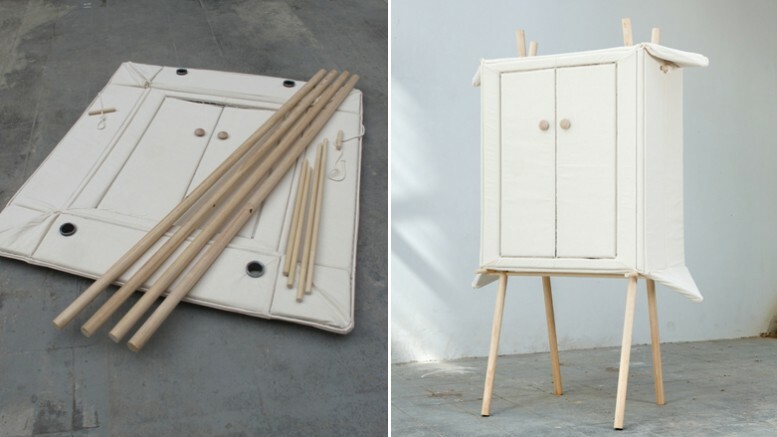 Nederpel also plans on creating a slightly smaller storage structure that doubles as a side table. To know more about her creations, check the designer’s site.